The set of 3 metallic boxes by Normann Copenhagen are ideal to pack gifts or to use as decorative storage boxes in your home. Visibly placed in the shelf, the shiny metallic boxes instantly add glamour to your living space and become a real highlight especially in minimalist rooms. The boxes are available in a set of 3 to allow for variety when organising the content. 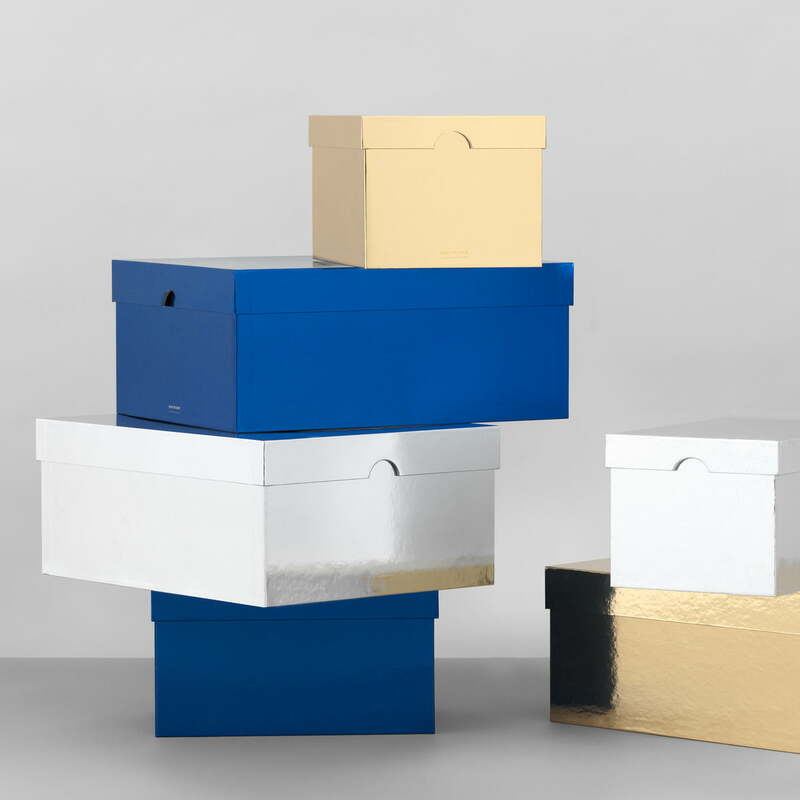 Whether it serves to store hats and gloves for the winter season, office stationery such as notebooks and envelopes, or seasonal decorations - the boxes can accommodate various items that can be stowed in a stylish and practical way. The set of 3 includes a large box (15 x 35 x 27 cm) and two small boxes (14 x 25.5 x 16.5 cm). Isolated product image of the Normann Copenhagen - Metallic Boxes. 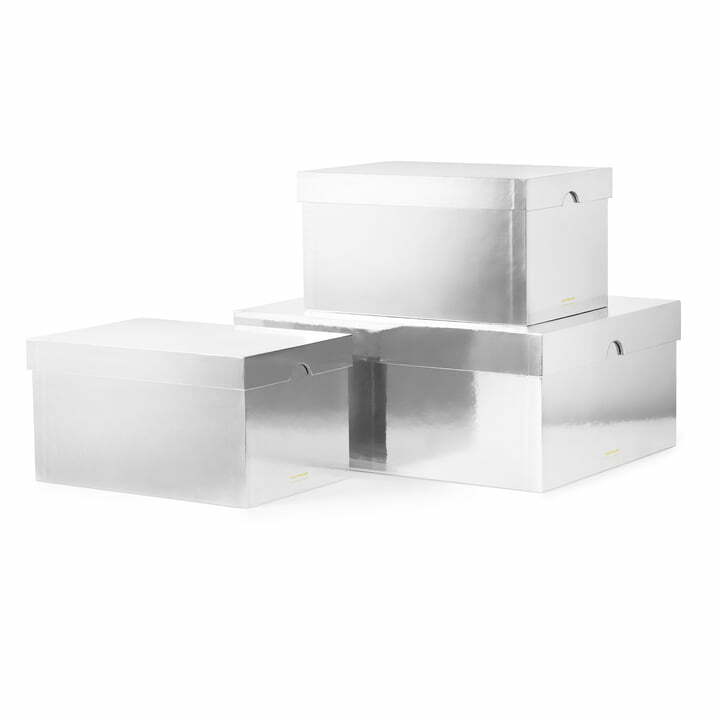 The set of 3 metallic boxes by Normann Copenhagen are ideal to pack gifts or as decorative storage boxes for your home. Group product image of the metallic boxes in gold / silver / blue. The different colours can easily be combined with one for a real eye-catching ensemble.